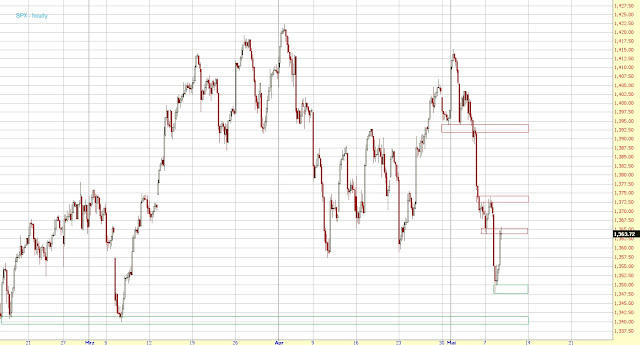 Yesterday evening it actually looked like the SPX made a short-term low at 1348. Today in pre-market we're back at the lows though so we have to wait for the reaction after the open. If yesterday's low holds a gap close is likely. 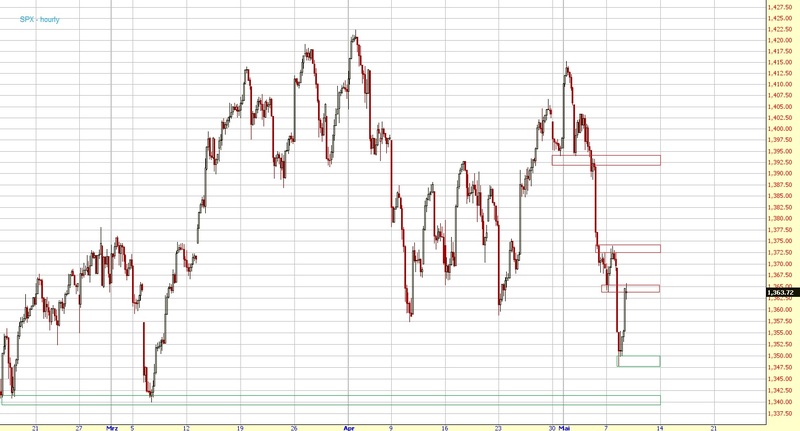 If it breaks a move to 1340ish should occur.